Designed to help protect horses from biting insects. The powerful blend of eucalyptus, peppermint, garlic, citronella and anise oils in Fly Shield combine to help make your pasture peaceful again! Use with Fly Shield Spray for heavy duty protection! 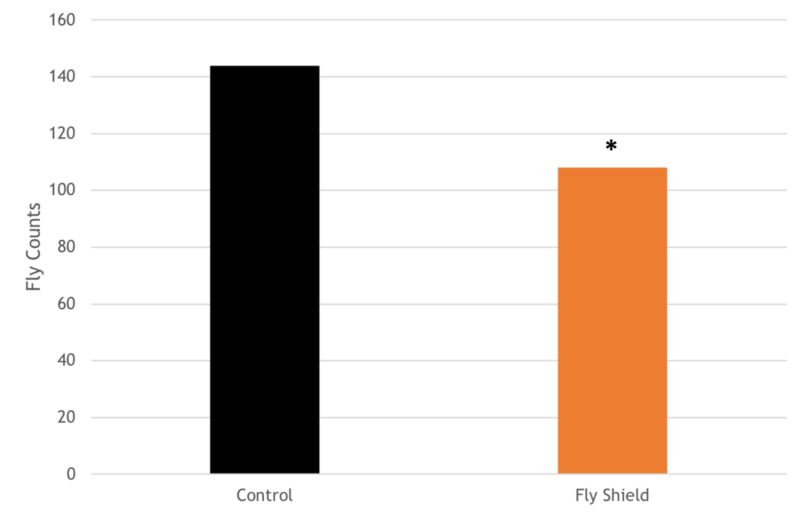 Fly counts were decreased significantly using Fly Shield in on-farm trials.